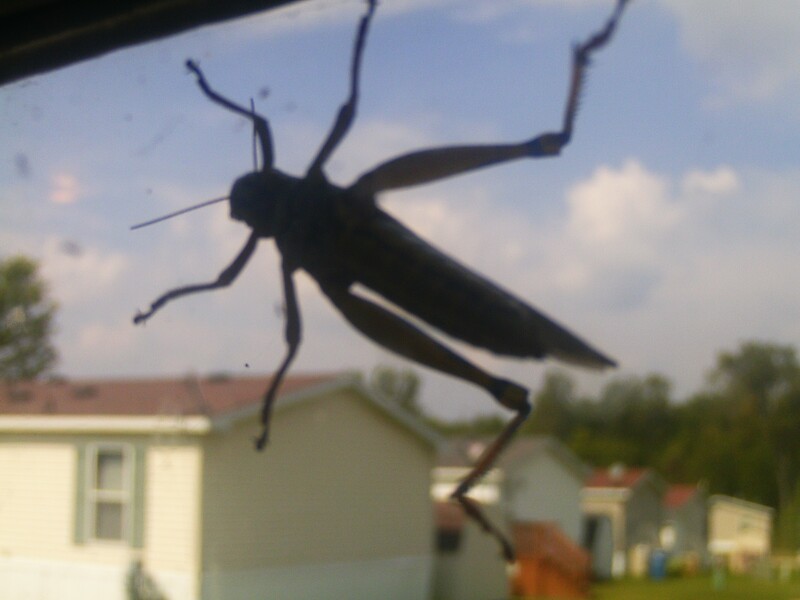 This huge insect was resting on my front door window today. 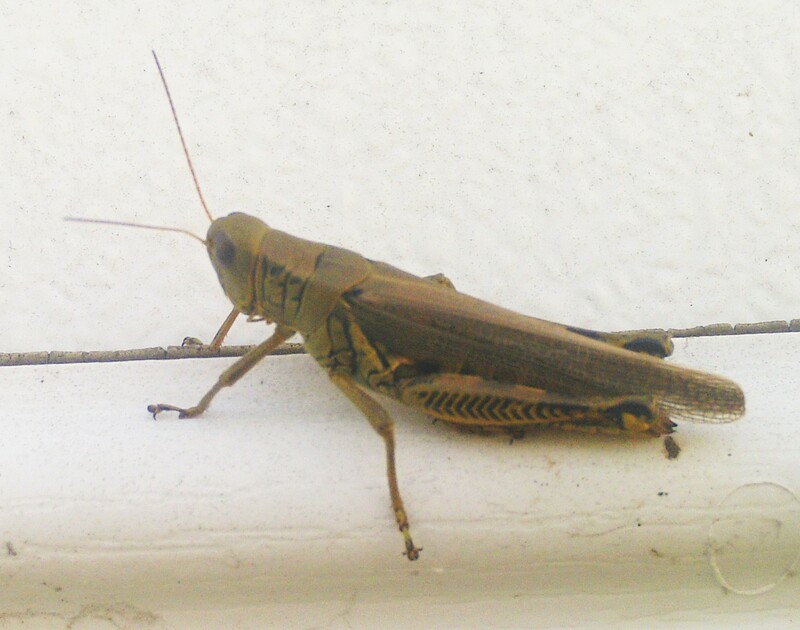 I’m not sure if it’s a cricket or a locust (locusts don’t usually come singular but in swarms) but it’s at least five times the size of any normal bug. The little pest just waited patiently while I snapped a couple of close up shots, trying my best to get a picture that wasn’t blurry and showed the minute details of the eyes, body, and wings. I’ve never photographed a bug this big before and this well (with a small inexpensive digital camera) so it is interesting to me. This must be the time of year when these winged specimens come around, probably being attracted to the warmth of the house or a certain smell from inside. It’s quite creepy looking. Why it came to this house and not another is a perplexing question. 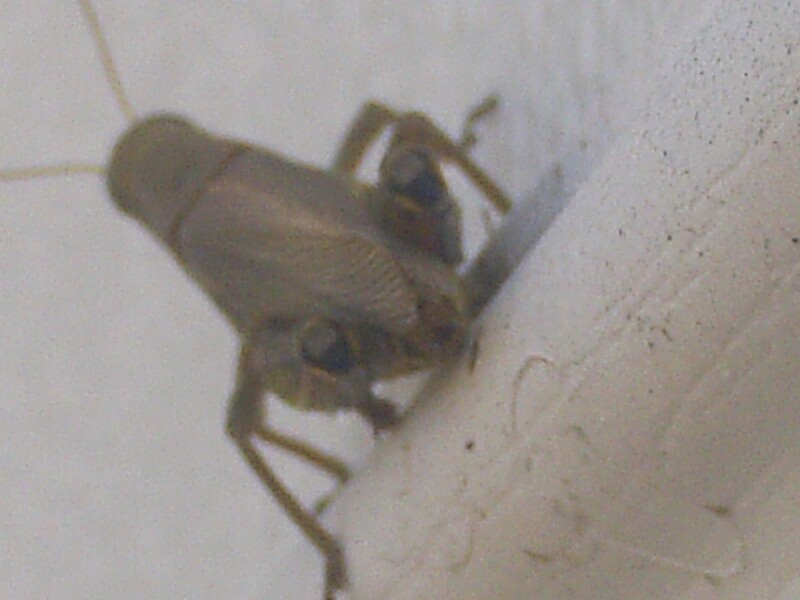 Is it just random or was this bug meant to land on my door on a Monday Labor Day afternoon? There are probably millions of these oversized crocusts (my solution to the cricket/locust identity problem) in the world, but I’ve never seen one until today. Must be fate. For more close up/macro shots, go here. For more creepiness, go here.